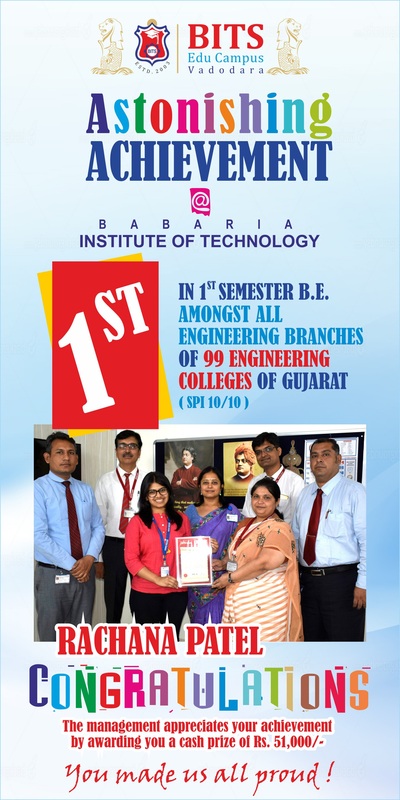 Final year Students of B.E(Mechanical) from Babaria Institute of Technology, Vadodara 1) Ms. Priyal Panchal 2) Ms. Komal Gohil 3) Ms. Palak Prajapati, won 3rd Prize with Cash prize of Rs. 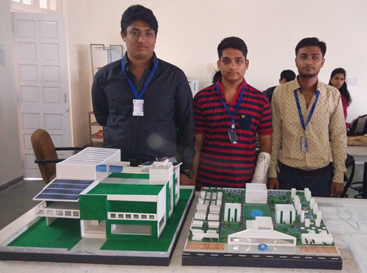 10000/- ( Ten thousand ) in “IMAZE-18” GUJARAT STATE LEVEL PROJECT COMPETITION held at GCET, V V Nagar, during April 11-13, 2018 for their project titled “Advanced Technology in Laser CNC Machine” guided by Dr. Rajkumar V. Patil [ Director-Academics ], Babaria Inst. 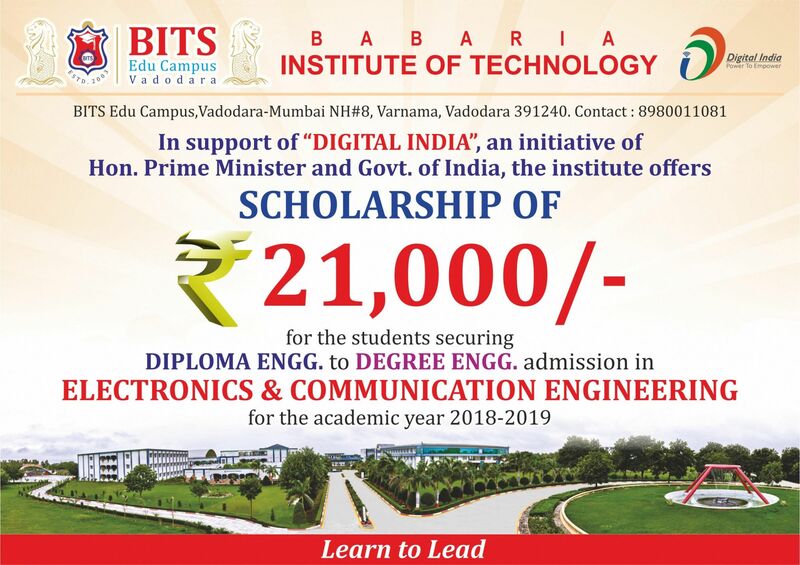 Of Technology, Vadodara. 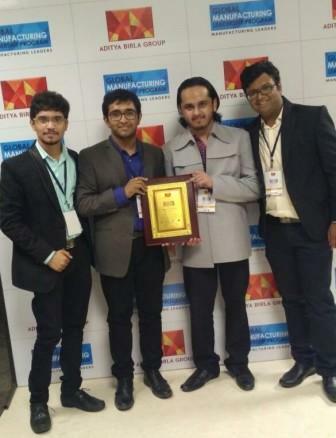 Final Year Project titled “Highway Levy” of Computer Science & Engineering student, Malvik Patel, guided by Prof. Jekishan K. Parmar was presented at Symbiosis, Pune and it was selected in Top 100 Projects out of more than 1000 entries in India Innovation Initiative 2017, organized by CII, DST, AICTE and promoted by Government of India. 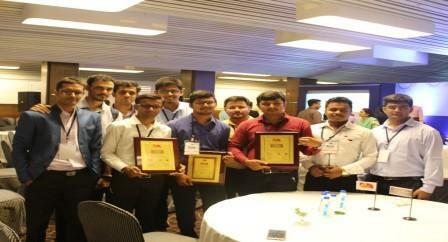 The project was also selected in Top 25 in Western Region. 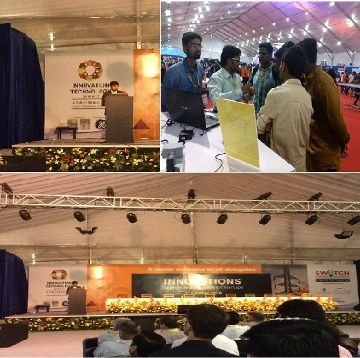 One of the project models of EC Department is selected in Top 3 Innovations of Switch Global Expo 2016 . It is indeed a great achievement as it was selected from 64 best projects chosen from all over India. 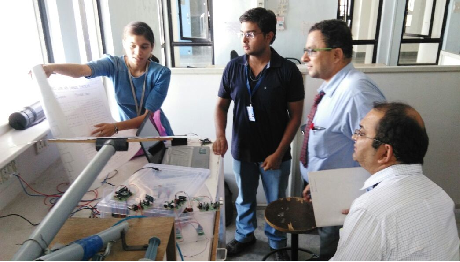 Congrats to Mr. S.Praveen, Alumni of EC dept who exhibited the innovation ”Automation in Overhead Equipment Maintenance using GPS enabled System” assisted by his colleagues Ms .Priyanka Thakkar & Mr. Rushy Patel, Head of the department Prof Twinkle Doshi & project guide Prof.Suganthi. 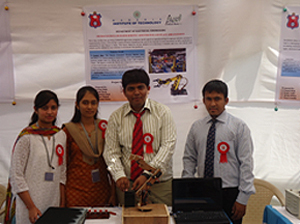 Congrats to another team of EC dept including Mr.Hitesh Lacchwani & Ms.Arkita Thakkar, Ms.Hiral Bhatt guided by Prof.Ankit Patel who was also in top 64 projects of Switch Global Expo 2016. 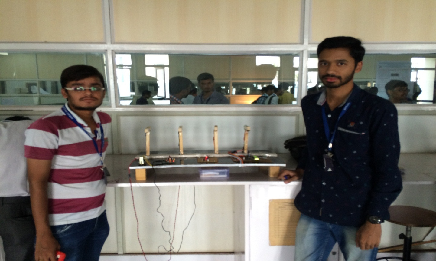 One of the Project Model of Electrical Engineering Department is selected in Switch expo innovation Projects. 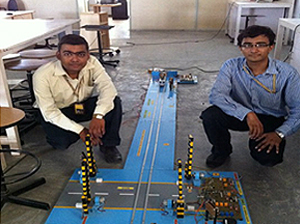 It is great success for students of Bits Edu Campus as it got selected amongst 64 best projects from all over India. 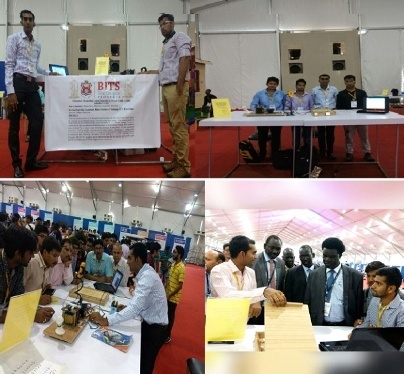 Hearty Congratulations to Mr. Riyaz Patel, Mr. Ashal Patel, Mr. Aman Patel, Mr. Viren Patel, Alumni of Electrical Department who exhibited the innovation “Micropower Harvesting Using Piezoelectric Crystals Stand – Alone Adaptive Circuit” assisted by Project Guide Mr. Dattesh Joshi and Head of the department Prof.Amita Rathod. 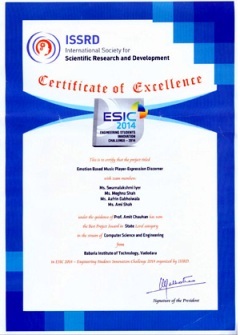 The Project Titled “Emotion Based Music Player-Expression Discerner” has won the Best Project Award in State Level category (Gujarat State) in the stream of Computer Science and Engineering under the Guidance of Prof. Amit Chauhan in Engineering Student Innovation Challenge (ESIC-2014) organized by International Society for Scientific Research and Development (ISSRD). 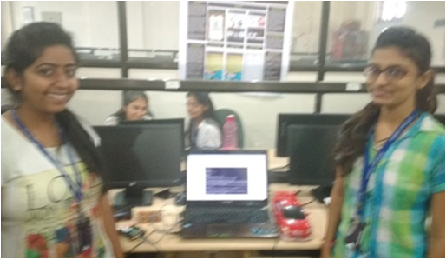 The student team members are Ms. Swarnalakshmi Iyer, Ms. Meghna Shah, Ms. Aafrin Dabhoiwala & Ms. Ami Shahunder from Computer Science and Engineering dept. 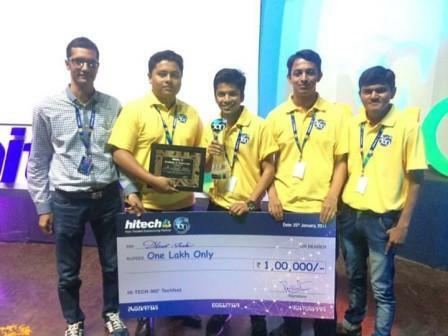 Project : Application Cloud was awarded with cash prize of 1 Lakh rupees and received 1st rank in Devang Mehta IT Award-2012. 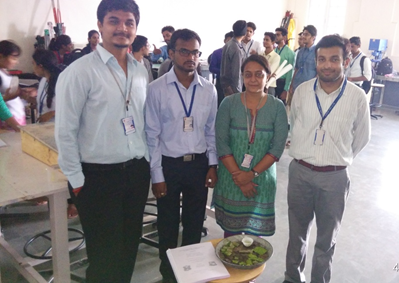 The project was prepared by Shah Anand, Aakanksha Rathod, Pradhan Mohnish, Darji Vinay. 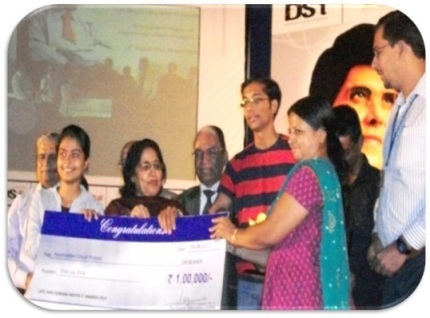 This prize was awarded by Devang Mehta foundation in association with GTU. 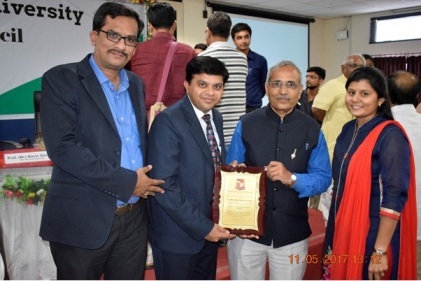 GTU Innovation Council presented awards to the GTU affiliated Colleges which had successfully organized final year project / innovation fair for academic year 2016-17 on the National Technology Day on 11th May, 2017. In the last decades, sustainable aspects of human development as energy savings, comfort, and health and life- cycles have led to increased interest on new insulation materials. Moreover, the building sector represents a third of global greenhouse gas (GHG) emissions. One possible way to reduce this effect is hemp fibre concrete – hempcrete. 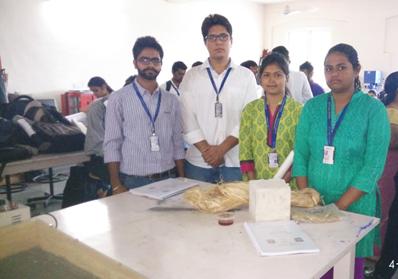 The project undertaken herewith is an attempt to perform various tests on hempcrete cube such as Density, Water Absorption, Compressive Strength, Thermal Conductivity and check if this material is suitable for building construction or not. In India, basic needs of peoples are not satisfy in proper manner, in developed country they provide good quality of basic needs and amenities which will makes people’s life healthy and enjoyable by providing such healthy environment people will motivate towards work. The concept of Smart Township which comes with smart planning and proper zoning, smart living, smart water and waste management, smart energy management, smart transport, smart community, and smart features and amenities. Aluminium sulphate (alum) is used as a common purifying agent on community as well as household levels, but its prolonged use has proved to be hazardous. Its use has been related to change the natural taste of water, with its end product left being equally harmful to the mankind as well as the environment on the broader spectrum. The present work includes use of natural coagulant (aloe vera) is a better option to chemical coagulant in water treatment as it does not result in taste changes or leaves any adverse health effect. Aloe vera removes turbidity up to 85- 90 % turbidity from water. 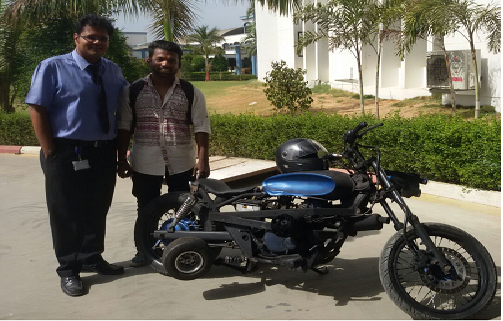 Three wheeled campus vehicle is widely usedin the college campus, Airport, Industries, Recreational Parks, Sanctuaries, Museums, Palacesand Villas. The battery is operated through electrical system and is recharged every periodical time and thus used in daily life purposes. 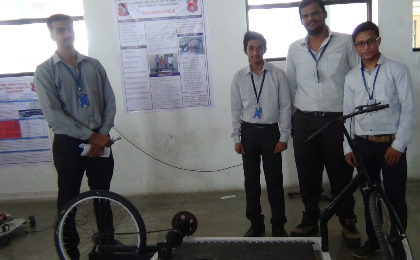 Project is based on design and development of modification in treadmill and converts it into walking cycle. Walking cycle will give more displacement in a very less effort. It is used to reduce the manual effort i.e. 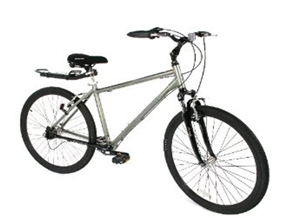 in place of conventional cycle, this walking cycle will give more displacement in a very less effort. Project is simply definition of the VERTICAL LADDER for the material handling. Our project will have 10 drawers operated by the chain and sprocket arrangement technology. Ease in operation with movement in two direction and requirement of minimum floor space with availability of maximum drawer facilities. 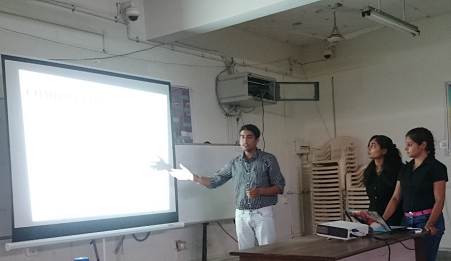 Usually vehicle accidents are caused due to drivers who fall asleep while driving.This project monitor’s the eyes of the driver continuously while he is driving the vehicle using image processing and if the driver’s eyes are found to be closed even for a while, then immediately an android app will set an alarm in the drivers mobile. 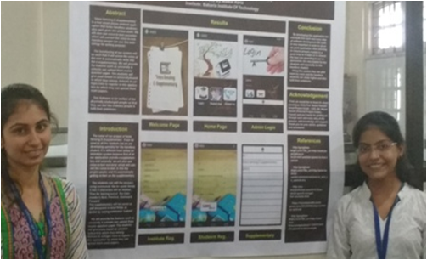 ‘Voice Sensing E-Supplementary’ is a free smart phone android application that helps handless students, who can’t gives the written exam. 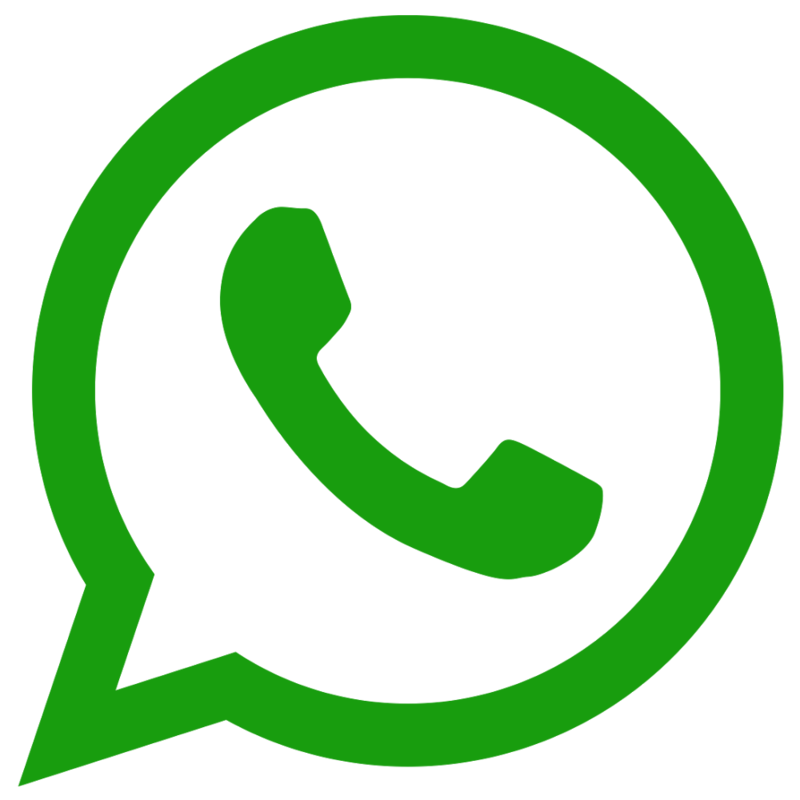 We will also use voice-to-text converter which will convert the voice-to-text. Handless people can use this technology for writing purpose. 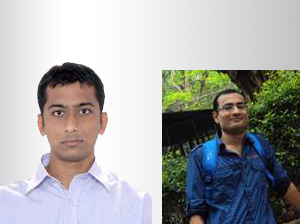 E- Institute is an online application that manages all the data of the institute i.e. details of faculties, students and the parents of the student connected to the institute. In this application, the teacher module includes the access for the updating of the information of the student details for their attendance, assignments. 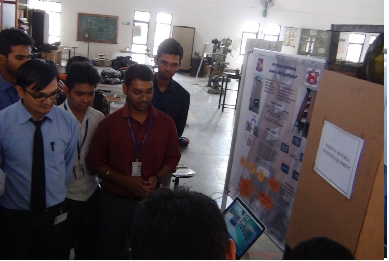 “DREAM BIKE” gives an elaborate view and understanding of the project design and functioning of a bike. Normally handicapped people face many problems in their regular life. Problems they are facing during driving vehicle is balancing the vehicle and its speed limit. AUTOMATION IN OHE MAINTENANCE WITH GPS ENABLED SYSTEM. Design an automatic system which will be continuously monitoring and measuring the specified values of height and staggering for Western Railways. The working of the system is completely automated which includes zero manual work. Also the idea of the technique leads to large amount of time saving. As the work is completely automated, the risk of electric shock to the workers measuring it manually reduces to a huge extent or can be considered as nil possibility. The customer in the queue gets the chance to access the system when the first customer has finished. PICK PACK PAY is a prototype of the shopping activity which roughly on the small platform shows application of automation in the industry and in a manner how customer can get most benefit out of it which also in turn reduces time and generates more money. The main aim of power factor correction is to improve system’s overall efficiency. Here, an AC to DC converter by the name “SEPIC” has been introduced for the power factor correction. 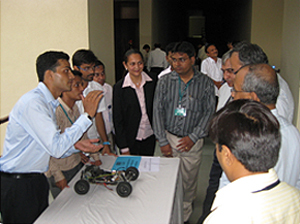 The low cost MICROCONTROLLER has been used for designing the control technique. SEPIC specifically stands for “SINGLE ENDED PRIMARY INDUCTANCE CONVERTER”. It is called “Single ENDED” as it uses only a single switch and “PRIMARY INDUCTANCE” because inductor gets charged only when the switch is on. The SEPIC rectifier is advantageous to use as it gives a non-inverted output and provides hefty transient dumping after the switch is turned off. The SEPIC is generally used in devices where the voltage can be varying from negative to positive values. An intelligent street light management system based on LED lamp and wireless technology can be designed and install in the cities. The system can detect vehicles and vary the intensity of LED lamp. This system can run in controlled mode. In this mode, we can take the initiative to control streetlights through PC monitor terminal. The Z-source inverter system can minimize stresses and size of the motor and increase output power greatly. 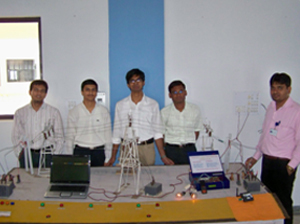 This project presents a control of Z-source inverter for electric prolusion in auto-motives. 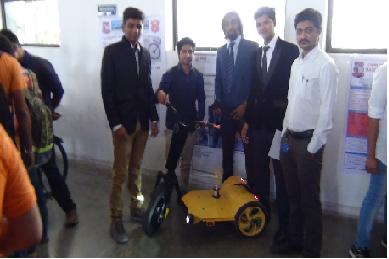 The unique feature of the project is that the Z-source inverter is to be employed for the speed control of permanent magnet brushless dc motor (PMBL DC motor), which in turn controls the propulsion power and speed of the electric vehicle (EV). Mobile Information Services is an effort to provide convergence in e-service by making information available on the mobile platform. It envisages the integration of services pertaining to citizens, visitors and municipal officials of the city and renders them at their fingertips. 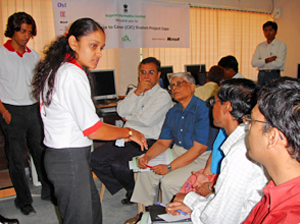 MobIS was nominated for South Asia’s Digital E-Content Foundation’s “Manthan” Award 2008 in “Best M-Content” category. 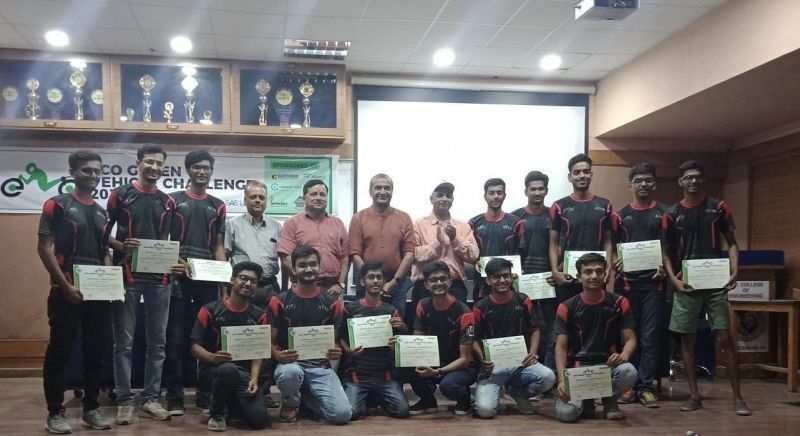 MobIS won first prize at Microsoft Project Competition-“Student to Business” held in Gandhinagar jointly with Department of Science & Technology’s program College to Career program. 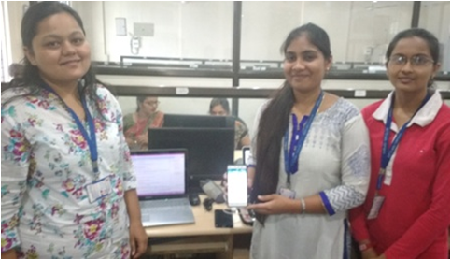 MobIS was specially admired by Dr. Neeta Shah, Director, E-Governance, Gujarat for proposing concept of M-Governance for being more citizen centric efforts. 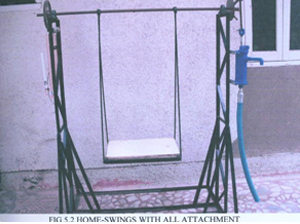 in this Project, our main aim concentration is on energy wasted by the human while swinging on a home-swing and we try to utilize this wasted energy to produce the electricity and to lift the water from the underground tank to the certain height. This system will prove an important and a must requirement for any type of power user may it be heavy industry or a small scale industry (SSI), as seen from its practical usefulness. A three phase induction motor and operated it on Steinmetz Connection, conceived to allow operation of small rating motors connected to a one-phase supply and with a small degree of voltage unbalance. A semi-automatic sludge system is avoiding the waste on the tracks and keeps them neat & clean. 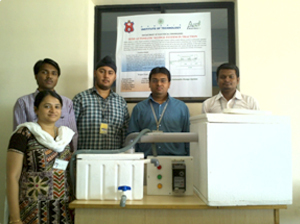 This system can dispose the human excreta in a better way. 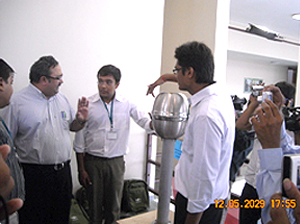 A Van de Graff generator is an electrostatic generator which uses a moving belt to accumulate very high voltages on a hollow metal globe on the top of the stand. A Hybrid vehicle use ethanol as a fuel and used IC engine. Maglev, coined for its use of magnetic levitation, is an innovative solution to the problem of transportation. This is a train unlike any super train the public has seen or ridden. The Human Controlled Remote Robotic Arm (HCRRA) is a system created to maneuver a robotic arm remotely, to perform simple tasks i.e. lifting and moving simple light weighted object. 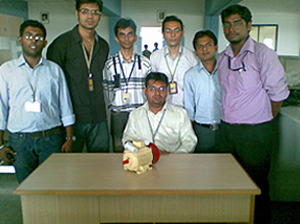 The input to control the robotic arm comes from a sensor glove or else it can be made autonomous using sensors. The designing of high-performance parabolic dish antenna that provides high quality data transmissions for various applications. This antenna can be oriented for either vertical or horizontal polarization. The antenna should be designed in such a way that it allows installation at various degrees of incline for easy alignment. This antenna should feature a high quality spun aluminum reflector dish for superior strength. Dish feed constructed of brass and copper guarantees low loss. Parabolic antenna offers highest gain for long-range point-to-point situation. Electronics Braille System covers the research and work done and its details. The content of report concentrates on the system, basically designed for the blind and vision impaired persons. To avoid accidents of train with road traffic at crossing, automatic and FAIL SAFE operation of railway crossing gates is inevitable. Also, to avoid accidents between trains on the same track, automatic detection of train in forward direction is necessary. 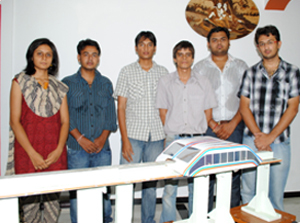 This project, presents a novel idea termed as AUTOMATED RAILWAY CONTROL SYSTEM which shall overcome all the drawbacks. The project “Touch screen menu” digitize the restaurant management. By taking the order of customer on a touch panel by selecting the appropriate options. These orders are then transmitted to the kitchen for the chef & at suitable interval the waiter can collect the food from the kitchen . The terrorist attack on the world has left a patch of fear of death on the minds of the citizens of the world. Our project SPY – BOAT is the first step of advancement for the same which persist the imaging technology used for the detection of the terrorists and which provides us with the pictorial information that can be used to plan out the defense against the terrorism. An automated baby cradle that will by itself detect the baby’s cry and start the cradle in motion. It will take care that a false triggering of motor by any random noise is not done. It avails with a feature of making a time selection for the swing of cradle, which will be manually placed in the system using a timer switchboard. Large amount of electrical power is consumed daily both domestically and industrially. To facilitate billing according to consumption energy meters are used. Meters have gone through an evolution from electromechanical meters to completely digital meters with digital displays to even smart meters with two way communication between the meter and the central system allowing automatic meter reading also. Through this project we attempt to make a ‘Prepaid Energy Meter’ which has some advantages over the present post-paid meters for both the consumers and the Electricity department. Objects have different shapes, colours and weight. 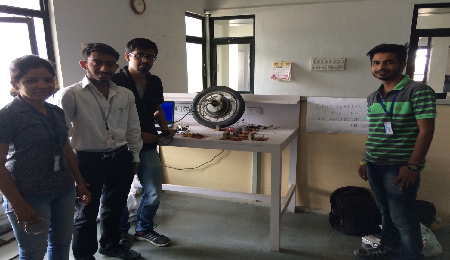 This project is meant for sorting the objects based on their colours, shape and weight. The sorting is done with the help of the three sensors as follows: 1) Colour sensor 2) Shape sensor 3) Weight sensor This project demonstrate the basic idea described above with the example of three objects having three different colours (red, green and blue), three different shapes (circle, square and rectangle) and three different weights. 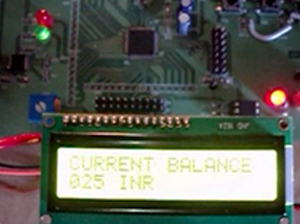 The whole system is controlled by the PLC (Programmable Logic Control). This concept can be used in the industry in either full form or the individual form. This project is especially helpful for local market as the local market can easily afford the marketing with such economic medium of advertisement. This project will target its consumer only when the appropriate place is near to the consumer. By harnessing solar energy, Solar Powered Refrigerators are able to keep perishable goods such as milk and diary products cool in hot climates, and are used to keep much needed vaccines at their appropriate temperature to avoid spoilage. 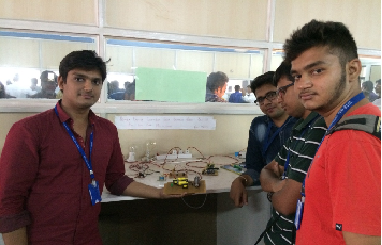 The portable devices can be constructed with simple components and are beneficial for areas of the developing world where electricity is unreliable or non-existent. System works on the principle of vapour absorption cycle. Uses two working fluids, a secondary fluid or absorbent is used to circulate the refrigerant. For applications above 32° F, the cycle uses lithium bromide as the absorbent and water as refrigerant while below 32° F, ammonia is used as refrigerant and water as the absorbent. 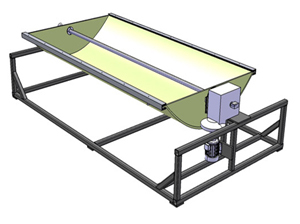 A parabolic solar collector with tracking mechanism is used to harness solar energy. 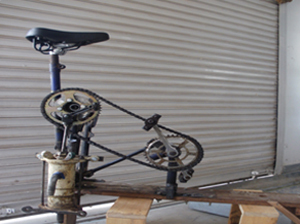 A shaft driven bicycle is a chain-less bicycle that uses a drive shaft instead of a chain to transmit power from pedals to wheels. Uses bevel gear mechanism in place of chain. Varying gear ratios will provide varying mechanical advantages. A variety of solar collectors are available in the market. However, its effectiveness is limited because of the relative movement of the sun. The tracker mechanism incorporated with the solar concentrator keeps the concentrator focused irrespective of the suns movement. Simple in construction and economic in production. The solar concentrator used is parabolic concentrator with glass as the reflecting medium. 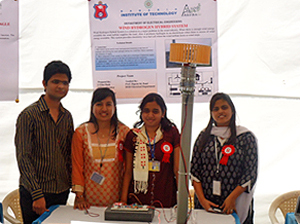 Solar tracker is based on the principle of light sensing. The sensor is in the form of LDR. Mechanization is a basic necessity of modern agriculture. Irrigation is the most vital input to agricultural progress. Present socio-economic condition of Indian farmers do not permit large scale investment in irrigation. Low cost, pedal operated water pumps are a solution to irrigation needs of small scale farmers. The project provides new experimental data for turbulent fluid flow and heat transfer in a tube having twisted tape inserts. 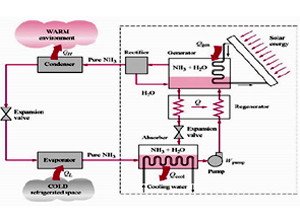 The experimental set up study the heat transfer performance in the entrance region as well as in the fully developed region and air is used as working fluid. 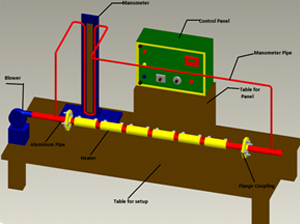 Aluminium pipe is mounted with six ceramic band heaters over its length of one meter at equal intervals. Very useful in rural areas for irrigation where electricity is not available. Pollution free and environmental friendly power generation. 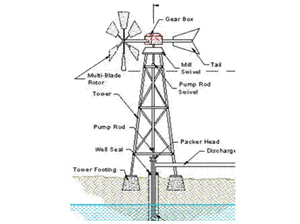 Suitable for rural Gujarat where wind energy is available in plenty and irrigation is a primary necessity for agriculture. Uses a reciprocating pump mechanism with gearing.